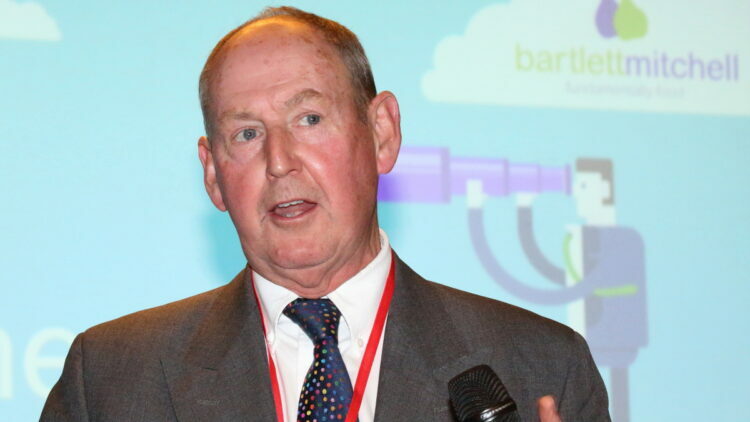 Companies need to quickly find means of automating some services to ensure they tackle pending labour issues post-Brexit, according to Roger Martin-Fagg, a behavioural economist speaking at a bartlett mitchell event last week. He added that an ageing population, combined with limited numbers of people coming into the UK, would mean that companies in sectors such as hospitality and facilities management may struggle to fill roles unless they look to alternative resourcing solutions, especially for systems. The event, held at Saatchi & Saatchi and titled ‘Making Sense of a Slightly Mad World’, saw more than 150 senior individuals from across the sector come together to network and discuss issues facing the industry over the next year. Comedian Tiff Stephenson, also provided her take on current affairs, entertaining an audience made up of bartlett mitchell clients, customers, suppliers and friends. Martin-Fagg, who provided the keynote speech, also said that, whilst he expects the next immediate 12 months to be positive for the UK economy, there could be difficulties to follow. He said: “Depending on what happens with Brexit negotiations, we could face some really challenging times. He added: “However, if the UK does manage to strike a free trade deal with the EU, everything will be fine. This year will be much better than people expect, but it could go wrong in the middle to the end of next year as the Bank of England deals with the inflation rate. Wendy Bartlett MBE,executive chairman, added: “Martin’s analysis is really interesting and paints a very complex picture of what the future looks like. As a progressive business, we need to ensure that we are constantly listening to what our customers need and find means of delivering services which don’t compromise on quality. “We are already seeing many developments in systems and we expect these to continue to drive change and transformation.